Following the nerd trail of this meme making it’s way around facebook, I decided to think about my favorite authors/the ones who have influenced me the most in the past and in recent years. 1. John Steinbeck. Growing up I couldn’t get enough- I loved the vivid stories he shared about life for people in California in the 1930’s and 40’s- a place and time far away from Michigan’s upper penninsula. Tortilla Flat was my favorite- a collection of short stories. 2. The New and Old Testament of Scripture. In the Old Testament, I love 1 and 2nd Samuel- such dramatic stories of King Saul and David, their choices, leadership and failures. Sobering and inspirational at the same time. In the New Testament, my favorite gospel is Luke. Though the four gospels have similar overlap ping stories, Luke gives special detail to women, orphans, widows and the marginalized of society. 3. 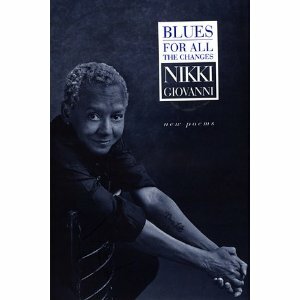 Nikki Giovanni. My brother gave me a volume of her poetry; Blues for All the Changes a number of years ago and I’ve enjoyed her writing ever since! I also like that she has a tattoo on her forearm that says “Thug Life” and she’s a writing professor. 4. Langston Hughes. His poetry, plays and short stories beautifully capture sin, redemption, joy, and anger. I’ve made a tradition for myself of reading a work of Langston Hughes every February as a small way to participate in Black History Month. 5. David Sedaris. So. funny. I love listening to him read his pieces on NPR. 6. Nigella Lawson; she’s a great cook and her British colloquiums always make me laugh whether I’m looking up how to roast a chicken or make one her her cakes from the chocolate cake hall of fame from her cookbook Feast. Her recipes capture the joy and comfort of cooking. 7. J.K. Rowling. Her life is a cinderella story, her books are a magical wonderland. I cried when Dumbledore died. It was a note to his wife, but apparently when you’re a poet, everything ends up a poem. 9. Dr. Seuss; I still love reading Dr. Seuss, between the drawings and the crazy stories he captures silliness, wonder and imagination so well. One of my favorites is The Sneetches. 11. Aristotle; The older I get, and the longer I’m in grad school the more I realize just how much his philosophy has influenced society, even though he said crazy stuff like women aren’t as smart as men because they don’t have as many teeth. 12. Alan & Deb Hirsch. I read their book Untamed, and The Forgotten Ways this past spring. My head was literally spinning for about three months as I considered the implications they shared on how church is done here in the U.S.
13. 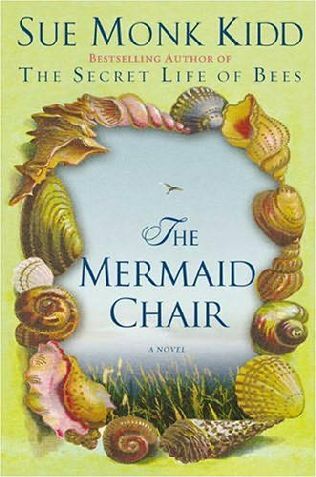 Sue Monk Kidd; Most people are familiar with The Secret Life of Bees but I really enjoyed her book The Mermaid Chair even though it was a disturbing story of suicide, infidelity, monks and secrets. 14. N.T. Wright; Simply Christian has captured my imagination as to what God’s kingdom here on earth could look like in all it’s beauty, wholeness and joy. 15. Anne Lamott; She keeps it real, her stories are hilarious, poignant and raw. Her book Operating Instructions on her life as a new mom is a must read for any mother in the throes of trying to stay sane with an infant. Who are some of your favorites? Oh, and the plums poem I’ve heard before and had forgotten about it. It’s random and I really like it.